The information security threat landscape is growing more complex with each passing day. To truly protect enterprise IT assets, security leaders must change their strategies from the traditional point based approach to that of a more comprehensive total network visibility model. A focus on Network Forensics is becoming a core requirement for effective security teams. Join Gabriel Martinez – Director of Customer Success at NetWitness – for a discussion on Network Forensics. Learn why this is such a critical skill set; discuss best practices in this area; evaluate the pros of adopting such a focus and the cons of not doing so based on real world examples. 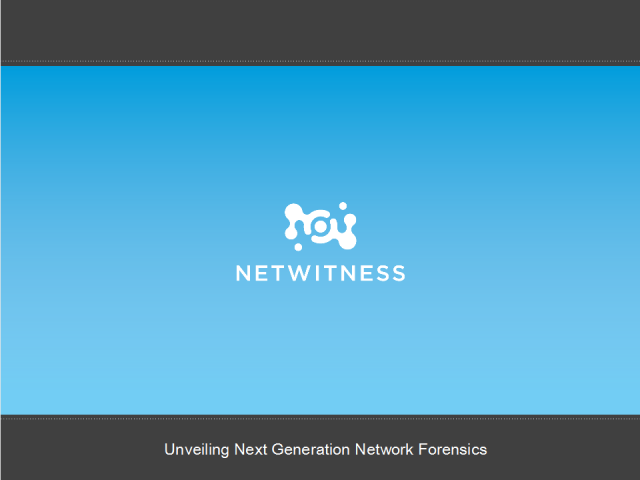 Learn about NetWitness NextGen – a revolutionary Network Forensics solution and find out how you can learn more at this year’s Hacker Halted conference.